Quiet & relaxing cul de sac. Set back from the neighborhood surrounded by a stunning landscape. This home is filled with love all around. 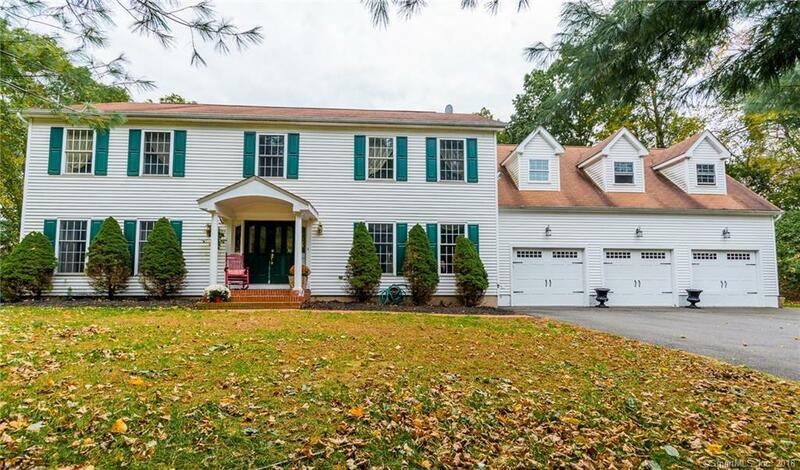 This home boasts, 4 bedrooms, 2.5 bathrooms, a three car garage, granite countertops, a formal dining room, a spacious living room, an outdoor deck and so much more! Treat yourself to cheaper utility bills with Wallingford electric. Enjoy an open floor plan, sliding door that leads to your deck which overlooks the in-ground pool, perfect for the hot summer days. This home has had one owner and has been taken care of as such. Conveniently located near I-91 to provide easy commutes. Full basement which provides plenty of storage space. Schedule a showing today and may I add, welcome home.